I like my body pretty much the way it is. If I had to nitpick, I wish that I wasn’t so scrawny and it would be nice to have just a little cardio endurance, but I’m pretty healthy, so nothing to rightfully complain about. Are you finally going to get some of my awesome dinosaur art tattooed on you? Just kidding. 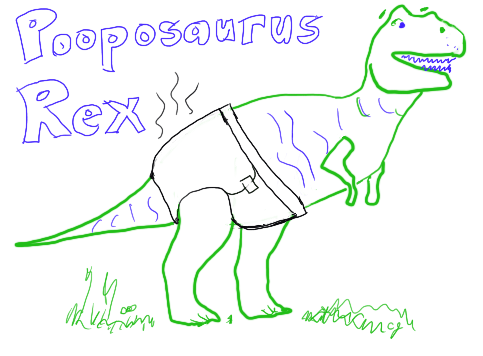 Mrs. 1500 will never get a Pooposaurus Rex tattoo. #Sad. 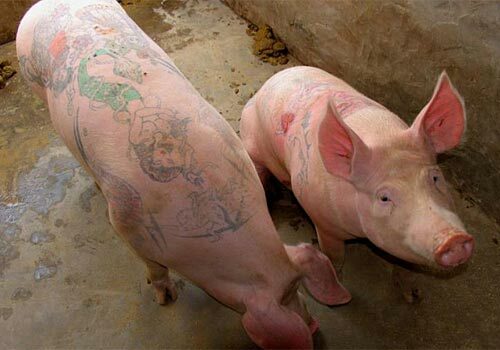 If you’re a good tattoo artist, you can earn loads of money. And when I say loads, I mean a couple hundred an hour. Oof. For frugal people, this is difficult to swallow. 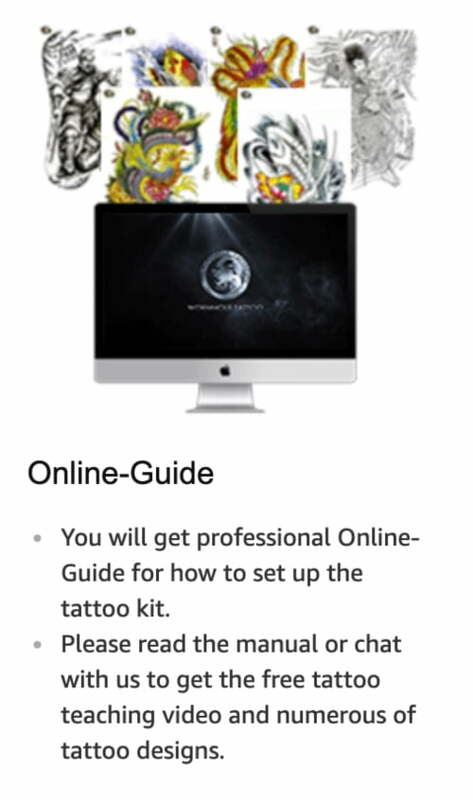 Let’s see if Amazon has a home tattoo kit! I didn’t really expect Amazon to sell such a thing, I assumed you’d have to get a license or jump through some regulatory hoops. Wow, I’ll have to practice a little to get that good, but this is why butts were invented! WMD (Weapon Of Marital Destruction)? F*** NO!!! I’M NOT LETTING YOU GET ANYWHERE NEAR ME WITH THAT THING!! Well, maybe not 100%, but she’ll come around. One minor issue (probably the only one) may be that I’m a terrible artist. I can’t even draw a stick figure. My 9-year-old can draw better than me. Much better. But that’s OK, right? If Mrs. 1500 wants a big dragon and I botch it up, I’ll just turn it into an even bigger amoeba. This is what the pros do, right? And good news for you too! The kit looks small enough too that I can pack it for the road. Who wants a tattoo at Camp FI or FinCon? Line forms to the right. This makes me wonder how tattoo artists get started in their craft. Do they just pick up the needle and ‘go at it’ on a customer for the very first time? Or do they get a home kit and practice on themselves? Hmm… me thinks this is going to be new side-hustle for you Carl. Mrs. 1500 recently posted…WMD (Weapon Of Marital Destruction) In The 1500 Household? The fruit thing is real from what I’ve been told as well. 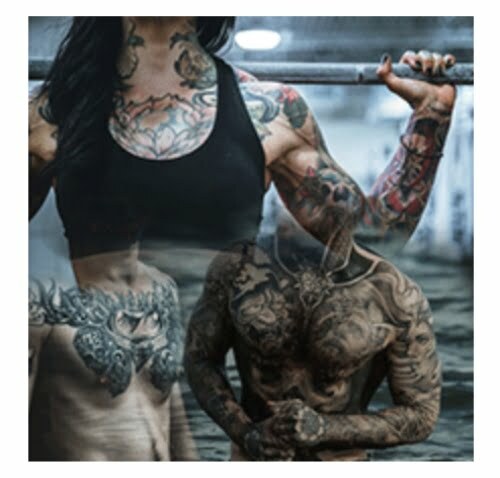 Tattoos fade pretty quickly on certain areas of your body (bottom of your feet for example) and some people are willing to get a free amateur tattoo to help someone out. Do we get any info on what you’re looking to get? wait, no. I’ll buy you a beer NOT to do that. A beer before the tat? What could possibly go wrong? It’s a done deal! No beer required! See you at FinCon! freddy smidlap recently posted…How in the Hell Did I End Up Living in a Boarding House? you stole my line, hahahahahahaha…..
Maybe I’m a total idiot, but I think I’d certainly let you give me my first tattoo….not even kidding. Where is your sense of adventure?!?? Mr. 1500 Days recently posted…WMD (Weapon Of Marital Destruction) In The 1500 Household? Well…finding alternatives is definitely a way to save money! 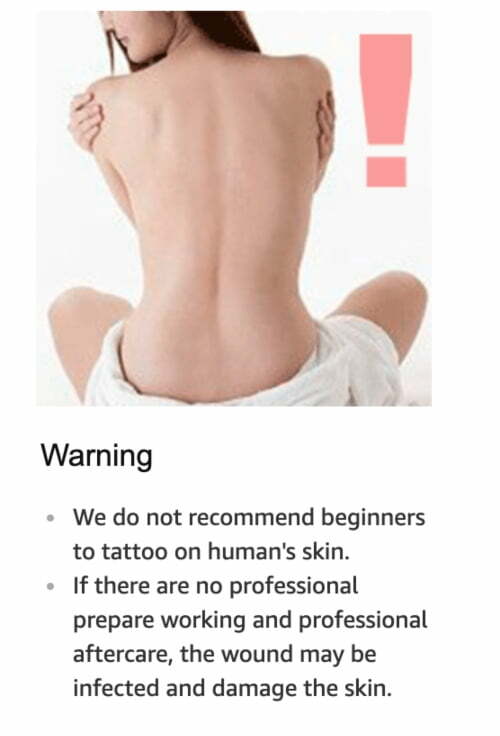 Maybe when the “semipermanent” tattoo is finally approved by the FDA, thats a better (and probably safer and santi-tarier? …more sanitary way?). Tat’s cost alot, I have heard. I prefer to show off my awesomeness by just getting bruises every couple weeks. Used to be from martial arts…now its inflicted by a toddler. Then again, maybe tats are cheaper than a toddler. My husband said, “China has a lot to answer for” and now is browsing Amazon’s collection of tattoo equipment. Mindy, run away NOW – do not let that man anywhere near you with amateur sharp needles – we’ve seen the comic art that he’s been teasing for the next website. I think Dirty Harry said it best. A good man always knows his limitations! Did you see Superstore this week? They kept adding to the tattoo to fix the mistake. It took up the whole back. I keep imagining you giving that type of tattoo to Mindy. You do the tattoos, I’m going to sit over here and watch. Haha, what could possibly go wrong?!?? ?